There’s megapixels and then there’s gigapixels. Yes, the latter is actually a thing and it’s the hallmark of what’s being called “the world’s largest photo” at precisely 353 gigapixels. How does a photo get that huge? It takes a lot of photos. 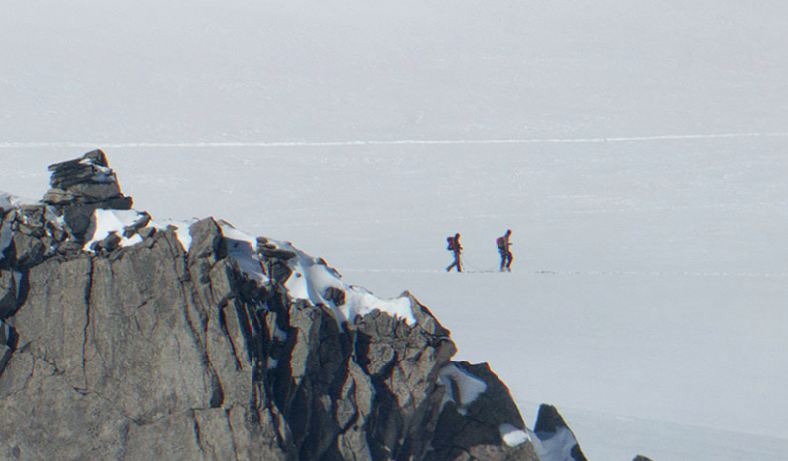 Photographer Filippo Blengini alongside a five-person international shooting team, has published a panorama of Mont Blanc, the tallest mountain in Europe. 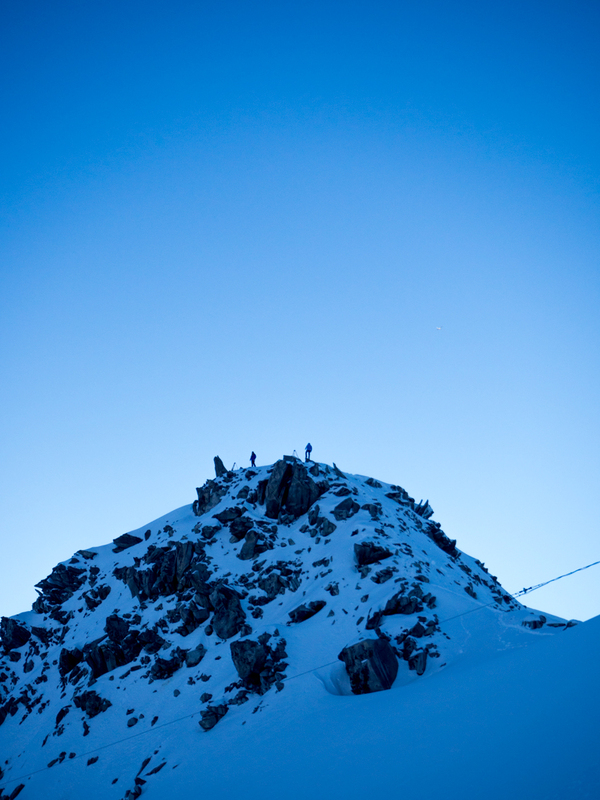 While the mountain itself rises to 4,810 meters (15,780 feet), the team shot the pano at 3500 meters (11.5 feet). Using a Canon 70D, a Canon EF 400mm f/2.8 II IS, and a Canon Extender 2X III on a special Clauss robotic mount, the team, shot a total of 70,000 photographs from all directions spanning some 35 hours in temperatures of frigid minus 10 Celsius (about 14 degrees Farenheit). There’s plenty to read about how it was done, but my advice is to head over to the start page first to take in the full interactive panoramic view. The images here simply don’t do it justice. Four simple controls let you view, pan and zoom the image full screen. Navigate the image yourself, or key into suggested parts chosen by the photographers, where you can actually see closeups of them in action. Screen performance will likely vary depending on the horsepower of your computer, but even if you experience a little scrolling lag, it will be worth the view. Post-processing and combining some 46 terabytes worth of photos took another two months. And there’s more to come. 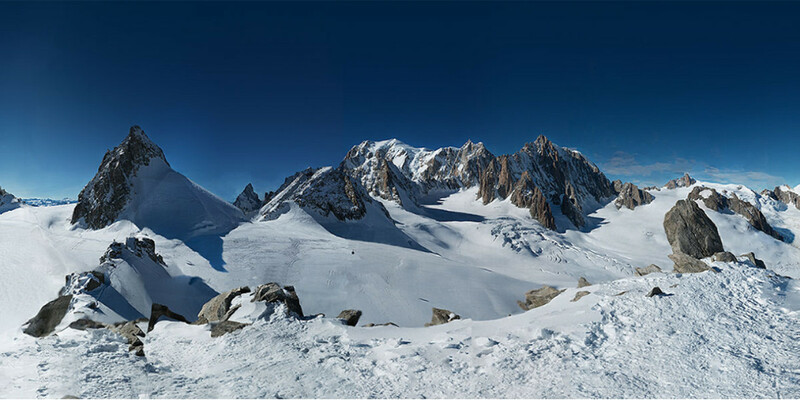 Future releases from the project will feature two Mont Blanc gigapanoramas from different points of view including peak names, climbing tracks, your point of view inside the image, and more. 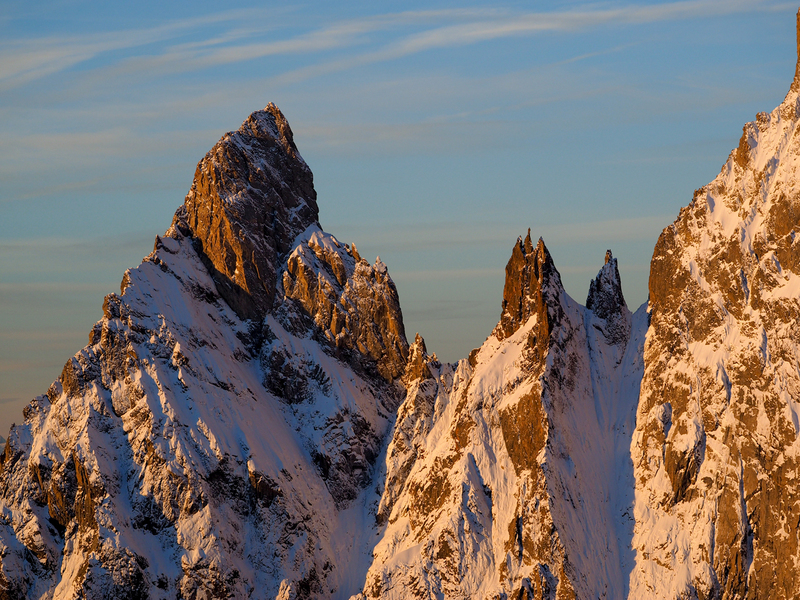 For the record, two other images may be used in size comparisons, but both fail to measure up to the new Mont Blanc pano. The 2013 London Panorama weighs in at 320 gigapixels and 48,000 frames, while a NASA satellite image shows a 681 gigapixel image of the moon derived from a four-year Lunar Reconnaissance Orbiter.